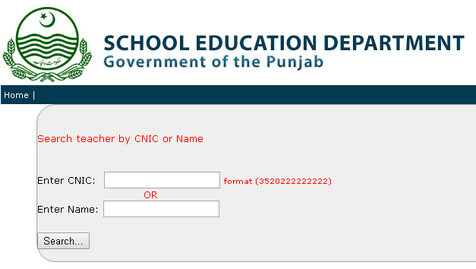 Now you Can Check Data of Each Teacher of Punjab School Education Department By Name or By CNIC No. Government of Punjab Pakistan introduce the new online way to checking the data of Punjab School Teachers. visit the link below to check the data.